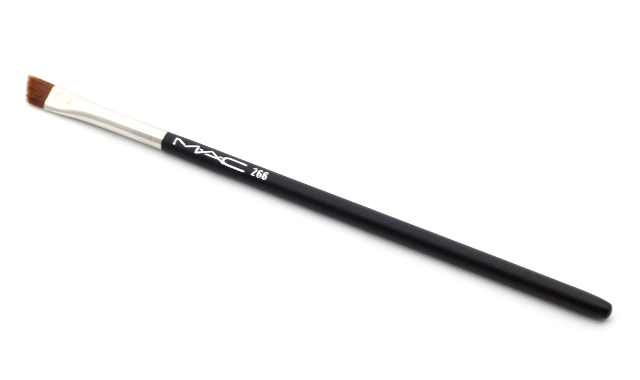 MAC's 266 Small Angle brush is one of my absolute favorites to use for gel eyeliner application. It's so easy to work with, and the near-perfect results can't be beat. It doesn't matter if you are going for a thin or thick eyeliner look, the 266 brush effortlessly helps create the sharpest, and most precise lines. Drawing a winged out, cat eye has never been easier. I don't just limit the 266 brush for gel eyeliner. It also works fabulously for applying brow powders and creams. The 266 Small Angle brush is very sturdy and well-made. The brush hairs are amazingly soft and glide on the lids without any pulling or tugging on the skin. I have had this brush for quite some time now, and the hairs have not lost their shape. The 266 brush is super easy to cleanse too, with a very quick drying time. 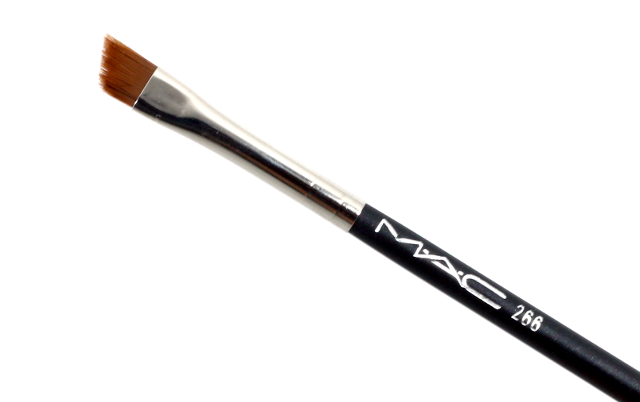 If you are on the market for a superb, multi-tasking angled eye brush, give MAC's 266 Small Angle brush a try. Yes, it is a little on the pricier side but honestly, this is undoubtedly an investment that's worth making. What do you all think of MAC's 266 Small Angle brush? Which are your favorite eyeliner brushes?